“Kim takes a small moment of Korean history . . . and transforms this moment into a powerful, sweeping epic that resonates across continents and oceans, bridging East and West . . . The scope and breadth of Kim’s talent is evident on every page of this breathtaking novel.” —List In 1904, as the Russo-Japanese War deepened, Asia was parceled out to rising powers and the Korean empire was annexed by Japan. Facing war and the loss of their nation, more than a thousand Koreans left their homes to seek possibility elsewhere—in unknown Mexico. After a long sea voyage, these emigrants—thieves and royals, priests and soldiers, orphans and entire families—disembark with the promise of land. Soon they discover the truth: they have been sold into indentured servitude. Aboard ship, an orphan, Ijeong, fell in love with the daughter of a noble; separated when the various haciendados claim their laborers, he vows to find her. After years of working in the punishing heat of the henequen fields, the Koreans are caught in the midst of a Mexican revolution. Some flee with Ijeong to Guatemala, where they found a New Korea amid Mayan ruins. 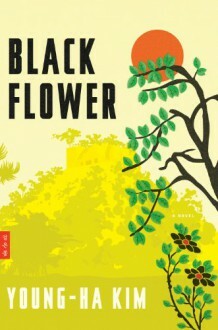 A tale of star-crossed love, political turmoil, and the dangers of seeking freedom in a new world, Black Flower is an epic story based on a little-known moment in history. Just not very good at all.